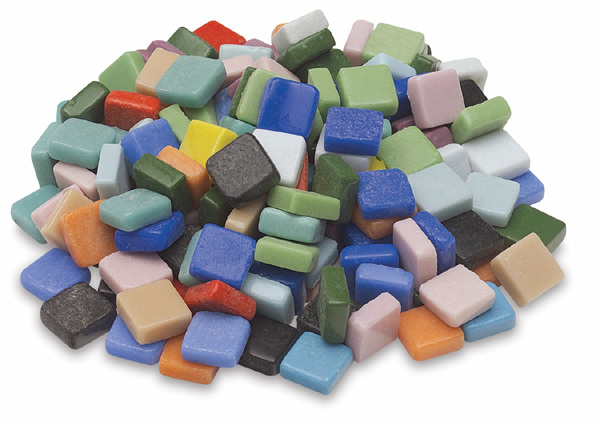 These collections of colorful, glazed glass tiles feature smooth front surfaces to best reflect light and safe, rounded corners with no sharp edges. Choose from standard 3/8" tiles or mini 5/16" tiles. Each assortment weighs 3 lb.